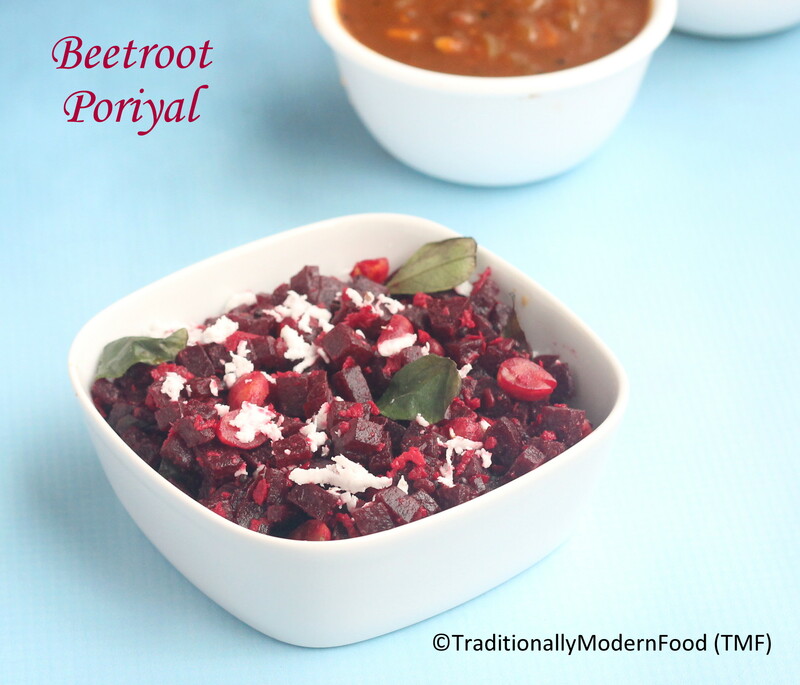 This is super quick version for making beetroot poriyal. Tasty and healthy poriyal can be made within 3 minutes using in Pressure Cooker. Off late, I am getting addicted for pressure cooker and instant pot based recipes. This one is yet another OPOS®inspired recipe. I have used OPOS®cooking technique, but have made tempering, so not sure if it will fit into a proper OPOS®category but still want to give the credit for such a easy cooking technique to cook beetroot super fast. Growing up, Beetroot was one of least popular veggies for me. I always prefer grating the beetroot or chopping it in a chopper to reduce the cooking time. I avoid cubed beetroot, to reduce the cooking time. 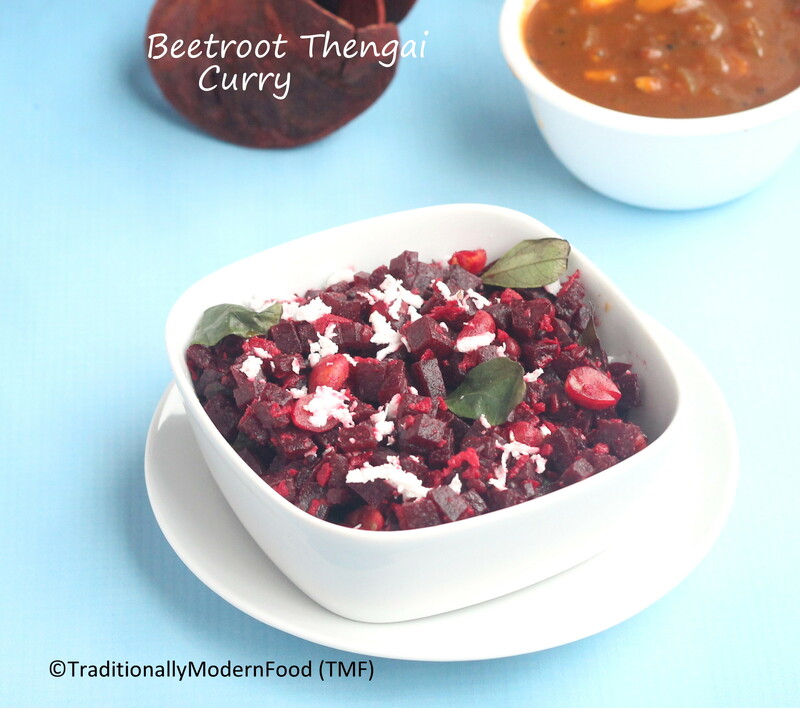 Few months back my friend Kavitha said she made beetroot that day. I immediately guessed it is OPOS®and asked for the steps. Now a days I cut the beetroot previous night and keep it in the fridge. During busy mornings, curry can be made super quick. 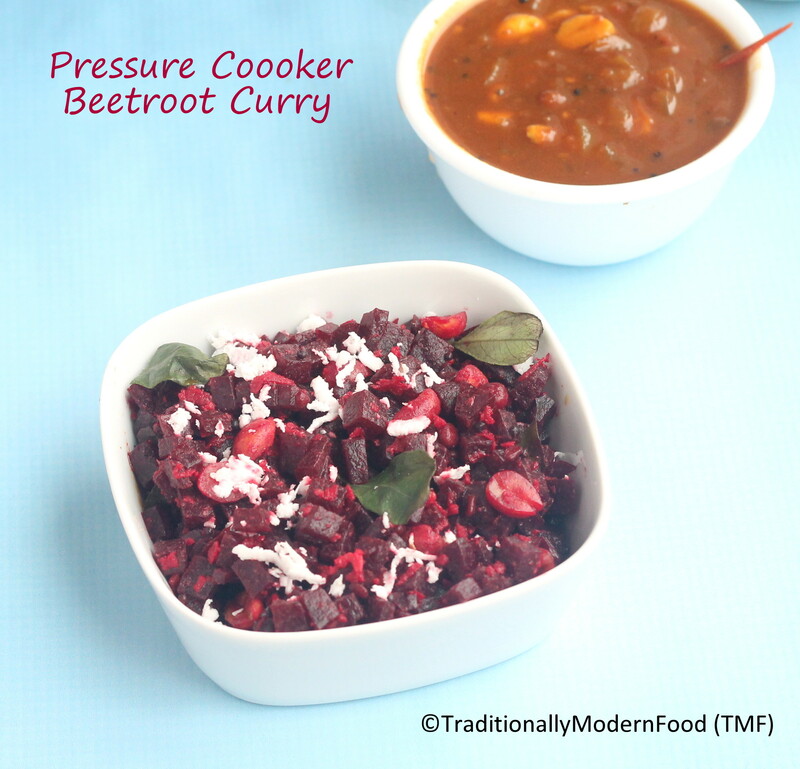 With a proper pressure cooker curry can be made in no time. 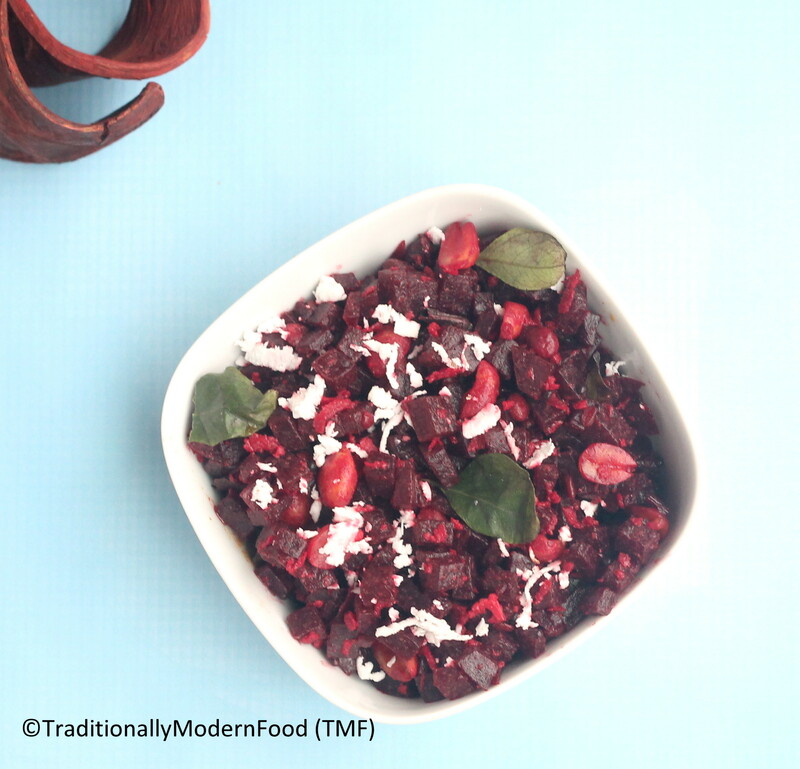 I make a lot of beet salads, but never paired it with coconut. It sounds so good. Hope to try it next time.